A couple of us had the privilege and pleasure of spending some time with instructors from the RTB (Ranger Training Brigade) while we were at SHOT. If all goes well we’re going to be periodically sharing some Ranger news with you. (Only stuff that’s either open source material or cleared hot by their PAO, so we’re clear.) 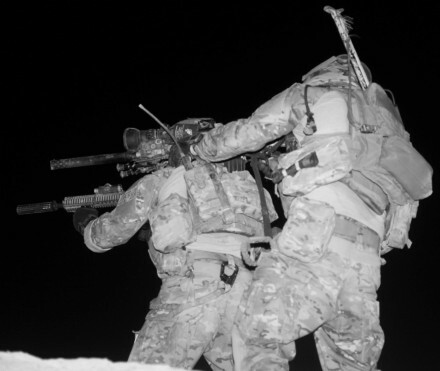 Now, you may not be aware of it, but yesterday was a pretty big day in US Army Ranger history. Yesterday, the 25th, was the anniversary of the “Abrams Charter” of 1974. That’s the directive by General Creighton Abrams (you may recall they named a big vehicle after him) instructing the Army to activate the first battalion sized Ranger unit since World War II. US Army Forces Command HQ command then published General Orders 127 , which stood up 1ST Battalion (Ranger) 75th Infantry. 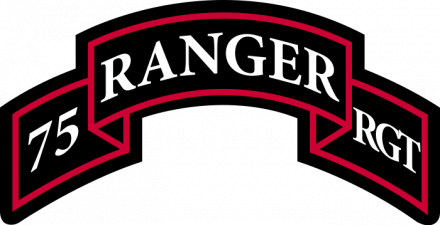 General Abrams believed that the Army would be improved as a whole by the inclusion of permanent Rangers within its ranks (in no small part due to the diffusion of leadership and fighting ability throughout its ranks as Ranger qualified Soldiers slowly spread into other units). You may be one of the many people who’ve watched the Best Ranger competition. We’re going to delve into that competition in the future, discuss its development and goals and whatnot, but we’d like to throw in a quick plug on its behalf – though the competition is supported by Big Army, there are a number of constraints that prevent Big Army from assisting with ancillary expenses (like dinners, prizes, etc.). There are a number of reasons why, but essentially those ancillary needs are all taken care of with the support of benefactors. If you are interested in supporting Best Ranger, we urge you to contact them and help out. (Here are the current 2012 supporters: feel free to join their ranks.) If you are interested in supporting the Best Ranger Competition, call Ms. Bryant at 706-718-9520 or e-mail her at CandyssBryant@gmail.com. 2/75 Rangers in Afghanistan just a couple of months ago. In the meantime, read a historical piece about the Abrams Charter from the War College, if you’re interested in learning more. This is a pre-GWOT study on leadership practices within the Ranger Regiment. It’s an interesting read.